Buckskin Mountain provides scenic respite, mountain hikes, a desert escape and fun-filled water adventures. The nearby River Island State Park, about one mile north, is ideal for tent campers. It offers a ramada with a campfire ring (which may be reserved for group use except on holiday weekends), sandy beach, cove, and boat launch area. In the summer, Buckskin and River Island are popular for boating, jet skiing, swimming and camping. In the winter, visitors appreciate the mild climate and enjoy camping, fishing and hiking in the park. Both areas are year-round destinations for those looking to discover a variety of recreational and cultural resources. The Colorado River Indian Reservation is just east of Parker and archaeological sites are scattered up and down Arizona's "west coast." Parker Dam, the world's deepest dam, is located approximately five miles to the north on Highway 95. About 25 miles north is Lake Havasu City, home of the famous London Bridge. This 1,677-acre park has been operated by Arizona State Parks since 1967. Fee payments are due upon park entry. If contact station is closed, please use Self Pay Station. 15 campsites can be reserved. Please call the park directly. All vehicles must park on the pavement; no parking on grass or dirt. Camping is only permitted in designated sites. There is a 14 night stay limit. Pets must be leashed at all times no longer than 6 feet in length. Dogs are allowed in water, but must be kept north of the boat ramp. No ground fire; all fires must be contained in provided barbecue grills. Obey hunting and fishing laws. Quiet hours are from 10 pm to 7 am. Drive only on paved roads. Park speed limit is 10 mph. The Buckskin Mountain Visitor Center includes exhibits, video library, book exchange and information on the surrounding area. From January through March the park offers interpretive programs and Ranger led hikes at the Visitor Center. Additional fees may apply, please check with the park staff. April through December: Upon request. There are 3 restroom and shower buildings located at the park. One is handicap accessible. The Park has a small gift shop with plans to expand soon. The Buckskin Market is located in park and includes a Restaurant, an arcade, and a market. The market sells firewood, ice, food, and gasoline. Buckskin Market is operated by a consessionaire. Buckskin Market is closed in the winter. Exhibits relating to the flora and fauna are located in the Contact Station and Visitor Center. A group day use area is located at River Island just one mile north of the park. For more information visit River Island's facility page. A group camping area is located at the River Island just one mile north of the park. For more information visit River Island's facility page. There are 68 camping & RV sites. There are 21 cabana sites. 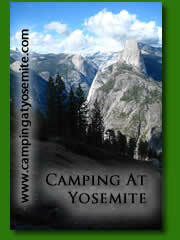 Camping Fees are per vehicle and range from $23.00 to $30.00 per night depending on the site. There is a 14-night stay limit. The RV & Tent sites have water and 30 amp electric available, 15 of the sites also have a sewer connection. All sites have a BBQ grill and picnic table. There is no limit to maximum RV length at these sites. The 21 Cabana Sites overlook the Colorado River and are perfect way for tenters to enjoy the water. The cabanas have two and a half walls, a concrete floor and a roof. Cabanas have a 15 amp electrical outlet. Tents can be pitched on the ground between the cabana and the river. All sites have a BBQ grill and picnic table. Pets are not allowed in the cabana sites. See a picture of a Cabana Site. Buckskin Mountain State Park is now accepting camping reservations! To make a reservation, call the park directly at (928) 667-3231, seven days a week from 9 am – 4 pm MST. To see the the park layout Download Printable Park Map ( 475 KB PDF). The following sites are reservable: 2, 3, 4, 18, 19, 22, 30, 36, 37, 47, 48, 52, 58, 62, & 67. There is a $5.00 non-refundable reservation fee. Reservable sites are $30.00 per night per vehicle. Payment in full for one vehicle per site reserved confirms the reservation. Upon arrival the site reserved must be occupied for the first night. If you would like to move to a different site you must contact the Ranger at the Ranger Station and request to be put on the list to move. Occupying or holding other vacant sites is not allowed and grounds for eviction. A maximum of 2 sites are reservable by one party. Reservations for weekend use will be for a minimum of 2 nights, Friday to 2 pm Sunday. Holidays will be for a minimum of 3 nights, Friday to 2 pm Monday. Check-in time is 2 pm. arriving earlier then 2 pm does not guarantee the sites’ availability or entrance into the park. Check-out time is 2 pm on the scheduled departure date. The site must be vacated by 2 pm. Vehicles left unattended after 2 pm in the site may be towed at the owner’s expense. Cancellations received prior to 7 days of arrival will be refunded in full less the $5.00 reservation fee. Cancellations received 7 days or less of arrival will be charged a one night fee of $30.00. The park has a dump station for use by paid overnight campers. Non campers wishing to use the dump station must pay the overnight camping fee of $20.00. All 3 restrooms at the park have hot showers available to registered campers. The day use area is located northwest of the Contact Station. It is a grass area with shade trees and overlooks the Colorado River. The area has picnic tables and 2 large BBQ grills. There is parking available for 28 vehicles, 12 of the sites will accommodate vehicles towing small boat trailers. Day Use Fees are $8.00 per vehicle with up to 4 adults. Day Use hours are 8 am – 10 pm. Many visitors take advantage of a terrific network of hiking trails. Starting at the entrance to Buckskin is the steep and winding ½ mile round trip Lightning Bolt Trail that affords a wonderful view of the campground and Colorado River. From this trail, visitors can access the 1-mile loop Buckskin Trail. A very informative trail guide corresponding to numbered posts along the trail highlights native vegetation and can be obtained at the Ranger Station. A concrete pedestrian footbridge crosses Highway 95 and leads to two other one-way trails. Interruption Point Trail is a one-mile round trip trek to a scenic overlook. There is also a one-way trail travelling to a series of abandoned mines, roundtrip is about ½ mile. Ranger-led hikes are held January through March. From a brief excursion to an overlook or a several hour test of your endurance, the trails at Buckskin and River Island can meet your needs. Remember, for safety's sake, wear sturdy shoes, a hat, sunscreen and take along plenty of water. Have fun! The park has fishing opportunities. Whether you sport fishing for Large and Smallmouth Bass or bottom fishing for Catfish and Carp with the Colorado River on two sides of the park anglers test their skills and try their luck at fishing. The kids will also enjoy fishing for Bluegill, Sunfish and Crappie. The park offers swimming along all of the shoreline. Swimming is not allowed at the Boat Ramp or Docks. The park has a designated swim area located at the Day Use area. No Lifeguard on Duty. Swimming is at your own risk. The park has a two lane launch ramp. There is no parking at the boat ramp. Campers must park back at their campsite. Day Use Visitors must park in the Day Use Parking lot. Non-motorized watercraft may launch at any boat ramp. Mammals that may be seen at the park include: bobcats, ringtail cats, coyote, and gray fox. Snakes include: Coachwhip (Red Racer), and King Snakes. Lizards include: desert iguana, and the collared lizard. Birds include: red-tailed hawk, vermillion flycatcher, great horned owl, burrowing owls, turkey vultures, and egrets.